In our region we have one main daily newspaper, The Nelson Mail, published each afternoon, usually available in Newsagents and dairies around noon. We also happen to have The Leader which is published weekly as well. And rounding out the selection, we have the two weekly “good news only” papers……..The Nelson Weekly and The Waimea Weekly. 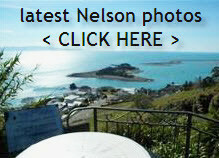 Two Editions back, the Nelson / Waimea Weekies announced they had just undergone a revamp of their website, so I thought I should ensure that you are aware of same. Head on over there, or rather click here to be taken there now. This entry was posted in Buyers, General, Nelson, New Zealand, The Market, Uncategorized and tagged climate, cycling, education, market, Nelson, NZ, photography, recreation, retire, Stoke on July 16, 2012 by David Leggott. A question I am constantly asking myself is this one………. …..why do “Poms” seem to not consider “future selling” money when they build a home in Nelson? So, whether a UK resident moves to NZ or New York, their thought patterns should, to all intents and purposes just about remain the same, the only real difference being the physical distance. Do Not build a home with associated utility pipework on the outside…….yes yes I know it goes for ok back home……and again yes, yes, yes …I know you need it / have to have it, where else to put it, etc, etc….. but out here in New Zealand….well, we tend to have a bit more room/space around us……and frankly this ole habit just really needs a real good “Dan Carter” kick right out into the paddock. Let me tell you right here & now…..what a Kiwi buyer thinks when they see this…….“cheap…cheap…cheap” – now, surely, that is not the first impression you want any prospective buyer of your property to have? Out here, well……..we want/desire/live for “open plan” living, surely you might have noticed that when visiting the brand new showhome exhibitions……heck, space is what its all about way down here near the great Southern Ocean. I hope you’ll view this for what it is – just a couple of hints from someone whose seen both sides of the story. This entry was posted in Buyers, General, Nelson, New Zealand, Sellers and tagged Buyers, buying, ex-pats, immigration, Nelson, NZ, retire, Sellers, selling, Stoke, UK, valuation on May 4, 2012 by David Leggott.